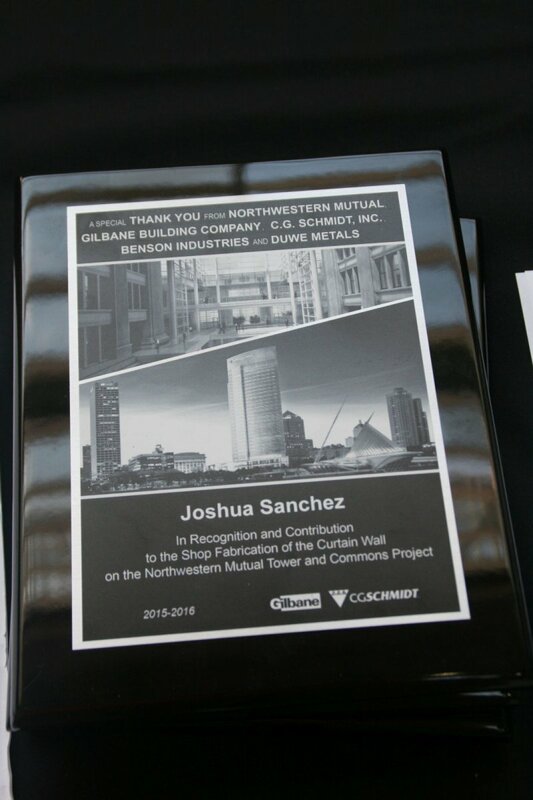 The recognition plaque workers received at the Northwestern Mutual Tower and Commons local hiring event. Photo taken August 16th, 2016 by Jeramey Jannene. All Rights Reserved.